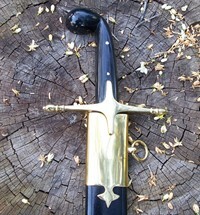 After all they come from very different time periods, were used in very different periods (two were cavalry swords, eastern and western, the others an oversized butchers knife of a peasant conscript) - but the medieval Falchion, Middle Eastern Scimitar and the early modern Saber all have one thing in common. They are exceptionally good at slicing and chopping things into smaller pieces! 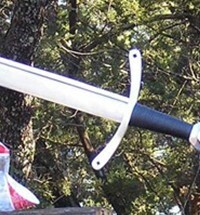 In this article, we will be taking a brief look at all of these blades - from the battlefield huge cleaver knife of the conscripted peasantry - used with about the same grace as one would use an axe (and with a similar effect) to the noble swords of cavalries, both Eastern and Western that would ride in on horseback and 'cleave a man in twain' to put it quaintly. These are their entry level replicas. Some do well. Others not so. Essentially a 'poor mans' field weapon - the Falchion was a common sight among conscripted peasant soldiers from the 11th to the 16th century. 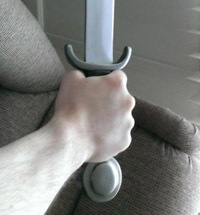 Likewise, the German Messer was - as the name suggests (messer is german for knife) Effectively a massive oversized and modified variant of a butchers knife, and it it took little skill to inflict massive injuries, especially to other lightly armored combatants.. Unfortunately, not all the replicas in our price range do.. But others do a better job than the medieval originals ever could have hoped to..
Windlass Archers Falchion: Out of the two Falchions made by Windlass Steelcrafts, this one was actually the better one by far, so they definitely discontinued the wrong one here..
Valiant Armory Medieval Falchion: This sword only appeared briefly while Valiant Armory was in a transitional phase. 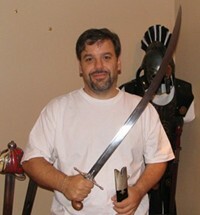 Was not at all historical - more like a Fantasy Orc sword than anything else - but it was a lot of fun. Deepeeka Falchion: Nothing to write home about in the first place, so no huge loss that this one was discontinued. 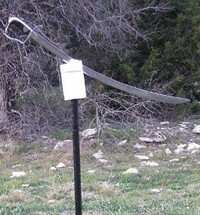 However history suggests that Scimitars are actually a lot more contemporary. In fact even during the times of the crusades the Saracens were armed with straight swords, not Scimitars (a fact that Hollywood in its wisdom often likes to ignore!) and most antiques are of 17th and 18th century manufacture and were believed to have come about gradually throughout the Islamic world after (unfriendly) contact with the Mongols.. 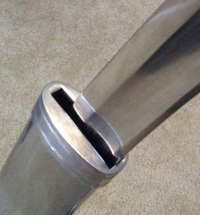 The first one may appear more modern and contemporary than the Windlass version, but is designed with straight out of the box functionality in mind. 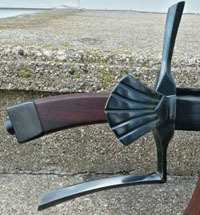 The second Shamshir in our price range is more subdued and historically accurate looking of the two but the default blade comes out of the box with a dull 1mm edge, however is relatively easy to sharpen if required (see below for the full review). 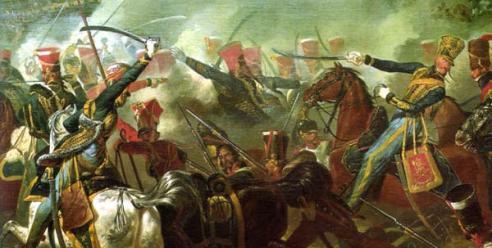 While its origins are unclear, the Saber (also spelled Sabre "I say Potato, you say - argh... never mind") is commonly believed to the result of the evolutionary development of Falchions and Scimitars over the centuries - and were the last types of swords ever used on the battlefield. 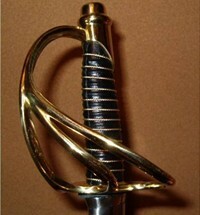 With their usage peaking during the Napoleonic wars (where they were feared and loathed by the French) they continued to see service in the American Civil War and even as recently as World War I - and are such a part of the military tradition that a saber is still a distinctive part of the dress code of the officer ranks in modern day militaries from all around the world. 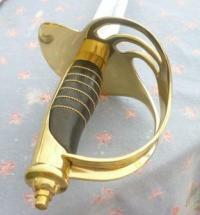 Once again like with Scimitars and Falchions, when it comes to functional replicas of these swords, the most common examples to be found are made by either Cold Steel or Windlass, with the Cold Steel versions tending towards being extremely sharp, quite heavy and remarkably effective cutters and Windlasses offerings generally more affordable and coming in varying degrees of historical accuracy. 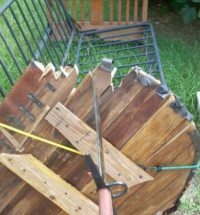 Windlass Pirate Sword: Ok, it's not a cavalry saber, but rather a ship shape weapon that got lost overboard by Windlass. A fun review though, I think you will enjoy it. 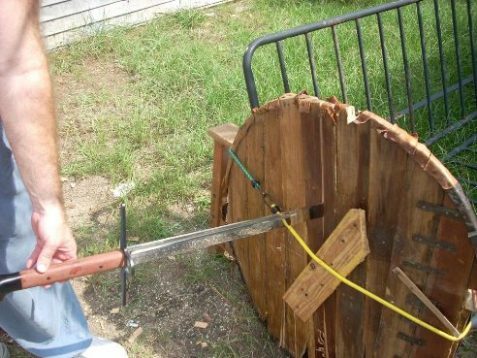 While there are few further resources available on Scimitars and Falchions, the best bet is to trawl through the various sword forums where there are numerous hidden gems waiting to be uncovered. Just watch that pirate fellow with the Cutlass..